LeSUEUR, WILLIAM DAWSON, civil servant, author, and critic; b. 19 Feb. 1840 at Quebec, son of Peter LeSueur and Barbara Dawson; m. 19 Sept. 1867 Anne Jane Foster in Montreal, and they had a son and a daughter; d. 23 Sept. 1917 in Ottawa. Versed in Latin and Greek at the High School of Montreal, William Dawson LeSueur moved to Toronto, where on 23 Feb. 1856 he entered the provincial Post Office Department. Since his duties were purely nominal, he was able to enrol in the University of Toronto in 1859, and he obtained a ba in classics in 1863. For a time in 1862 he had also studied law at Osgoode Hall, but he evidently abandoned the idea of a legal career. He continued as a clerk with the post office, where his father (a native of Jersey) was superintendent of the money order branch, and located with the department in Ottawa in 1865. On 1 July 1888 he was to become its chief secretary, a position he would hold until his retirement in 1902. Part of a congenial group of literary lights in Ottawa’s early civil service, LeSueur combined his career there with that of an eclectic littérateur, the first to introduce the modern spirit of critical enquiry into Canadian life. In an often stifling climate of intellectual conformity, in which independent criticism engendered deep suspicion, LeSueur began to write on a variety of controversial topics, often using a pseudonym. Believing everything was open to investigation, he insisted that criticism be undogmatic, flexible, constructive, and exercised in an ethical and responsible manner. In 1871, at the age of 31, he rose to prominence with the publication in London, England, of his brilliant essay on Charles-Augustin Sainte-Beuve, the celebrated and recently deceased French author and literary critic. The influence of Sainte-Beuve’s systematic intellectual enquiry, along with that of Matthew Arnold, Auguste Comte, and Herbert Spencer, would set the tone of LeSueur’s literary career for the next 46 years, as he brought the critical spirit to bear with the rigour of an intellect that rivalled some of Europe’s finest minds. From 1871 to the turn of the century he was active in the Ottawa Literary and Scientific Society, serving as its president on nine occasions. In his time he achieved international recognition as one of Canada’s leading men of letters; modern historian A. B. McKillop has concluded that LeSueur’s work “constituted a major response to the transatlantic currents of late nineteenth century thought.” Between 1871 and 1915 LeSueur published 83 signed items, most of them articles, on a wide variety of topics, among them criticism, ethics, philosophy, literature, feminism, politics, evolution, colonialism, and free thought. 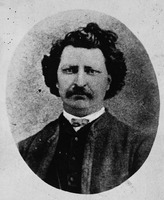 A prolific freelance journalist for the Montreal Daily Star, the Montreal Gazette, and the Ottawa Citizen, he also influenced public opinion with his unsigned editorials, such as those supporting the government during the North-West rebellion [see Louis Riel*]. Much of LeSueur’s periodical work appeared within the context of doubt sparked by the Darwinian revolution in thought, as conflicting claims of religion and science were debated at length and new ideas of progress and technology were accepted or rejected. In an assessment of LeSueur’s part, John Reads would note in 1917 that he “recognized at once the significance of the new science and its destined ultimate effects on religious and philosophic thought.” His response was characterized by an idealistic humanism combined with critical detachment. In “The intellectual life,” published in 1875 in the Canadian Monthly and National Review (Toronto) [see Graeme Mercer Adam], LeSueur set forth his credo that intellectual concern was also moral concern, “for the man who thinks a noble thought does not distinguish between the mental act and its moral colouring.” He rejected the notion that reason was a narrow faculty, useful only in business. LeSueur’s most vigorous articulation of philosophical idealism came in another major essay in the Canadian Monthly, “Idealism in life” (1878), where he deplored the secret contempt of the world for the artist and the idealist, for those who did not worship Mammon. LeSueur challenged many orthodoxies; among them were Canada’s colonial dependence upon Britain, the restrained role of women in society, the sectarian use of the Bible in the public schools, authoritarian dogma, and political parties. In “Party politics” (1872), published in the Canadian Monthly under a pseudonym (perhaps because of his position in the civil service), he condemned a system that “puts a ban on the free exercise of a man’s mind, and leads people to conceal or misrepresent their real opinions.” It is likely that LeSueur contributed to the Nation (Toronto), the journal founded in 1874 by the members of the Canada First movement [see William Alexander Foster*]. 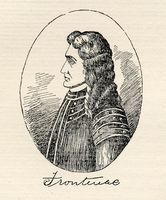 Many of the unsigned pieces there that bear LeSueur’s stamp emphasize the low level of political morality in North America. To raise the standard, he tried to stimulate informed and intelligent debate, but he often dwelt on too high a plane, with a tendency to exaggerate the intellectual capacity of readers. In the 1870s, largely in the Canadian Monthly, LeSueur became involved in argument with theological liberal Agnes Maule Machar* of Kingston and others over the capacity of prayer to have dominion over physical laws. When science became too dogmatic, however, he castigated it as well. He consistently rejected the claims of both absolute materialism and the most orthodox religious creed. Though he upheld free thought and liberty of conscience, his humanism stopped short of dismissing the spirit of ethical Christianity, a fact critics were too myopic to perceive. In 1880, when the theological establishment mounted a fierce attack upon the evolutionary naturalism of Herbert Spencer, LeSueur sprang to his defence in the Canadian Monthly. Although, significantly, he did not follow Spencer’s extension of Darwin’s evolutionary theory into social relations, Spencer congratulated LeSueur and arranged for his essay to be republished in Popular Science Monthly (New York). The impression made by LeSueur’s essay was such that he was invited to join this periodical as a contributing editor; he served for many years, writing on science, evolution, and philosophical positivism. While visiting New York he met American reformer Henry George and he championed his ideas on land reform in an article in the Canadian Monthly in 1881. 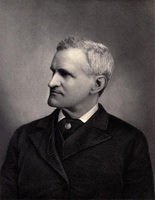 The controversy over science and religion continued through the 1880s, drawing LeSueur into a debate with such theologians as George Monro Grant* that soon broadened to a full discussion of the place of Christianity in “modern culture.” LeSueur’s essay in Popular Science Monthly on “Materialism and positivism” (1882) explained how Comtean positivism did not deny the existence of a spiritual world, but affirmed two realms of inviolable phenomena, a duality of mind and spirit on the one hand and matter on the other. He postulated a cosmic moral order that harmonized both natural and spiritual laws. LeSueur’s singular achievement here was the synthesis of various strands of thought, including Sainte-Beuve’s moral criticism, Arnold’s conception of culture, Comte’s positivistic humanism, and Spencer’s evolutionary ethics, to produce a comprehensive philosophy of life. In retirement, LeSueur began delving into Canadian history. His biography of Governor Frontenac [Buade*] was published in Toronto in 1906 as part of the Makers of Canada series, of which he was an editor. Though based on the flawed, earlier study by Francis Parkman*, the biography enjoyed great success and George Nathaniel Morang*, the publisher, invited LeSueur to write a volume on William Lyon Mackenzie*, leader of the rebellion of 1837–38 in Upper Canada. After extensive research, he produced in 1908 the first truly critical biography to be written in Canada. It challenged both the conventional Whig interpretation of Canadian history and the simplistic mythology of the reform tradition. 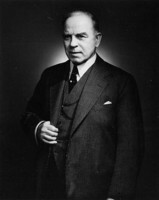 Mackenzie’s grandson William Lyon Mackenzie King* was so upset that he pressured Morang to reject the manuscript. Having made papers available to LeSueur, Mackenzie’s descendants had anticipated a laudatory treatment. For his part, LeSueur claimed “the essential nature of history . . . is not affirmation but enquiry.” As well, he attributed political motives to W. L. M. King, who, LeSueur told Thomas Taylor Rolph in November 1908, “has come singularly into prominence, and he wants to carry his grandfather with him.” In 1913 an injunction was granted that restrained LeSueur from publishing his thoroughly revisionist book, which came out only in 1979, edited by A. B. McKillop. In the early part of his career, LeSueur was seen by some as a dangerous radical because of his heterodox views; in the 20th century of Mackenzie King he was cast as a Tory reactionary, which he was not. Despite a degree of isolation caused by his full-time occupation as a civil servant in Ottawa, LeSueur did receive some recognition in Canada. He was awarded an lld by Queen’s College, Kingston, in 1900 and three years later he was elected a fellow of the Royal Society of Canada, of which he was president in 1912–13. After his death in 1917, his reputation lapsed into obscurity until his rediscovery by a later generation. 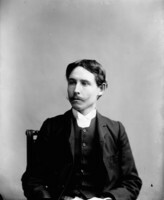 A bibliography of 83 items identified as being written and published by LeSueur appears in the author’s study William Dawson LeSueur (1840–1917), a Canadian man of letters: the sage of Ottawa (San Francisco, 1993). Some of LeSueur’s core writings appear in a collection prepared by A. B. McKillop, A critical spirit: the thought of William Dawson LeSueur (Toronto [and Ottawa], 1977). McKillop also edited and introduced the long-delayed publication of LeSueur’s William Lyon Mackenzie: a reinterpretation (Toronto and Ottawa, 1979). ANQ-Q, CE1-68, 19 avril 1840. AO, F 23; F 37; F 91-C, no.54. NA, MG 26, J; MG 30, D29, 25; D51. Private arch., Mrs Sheila K. George (Whitby, Ont. ), LeSueur family album, geneal. chart, and personal letters from W. D. LeSueur to Annie Hall-Kerr. Gazette (Montreal), 9 Oct. 1912. Montreal Daily Star, 14, 16–17 Nov. 1885. Ottawa Evening Journal, 24 Sept. 1917. Times (Ottawa), 21 Sept. 1867. Ramsay Cook, The regenerators: social criticism in late Victorian English Canada (Toronto, 1985). “Historical sketch,” Ottawa Literary and Scientific Soc., Trans., no.1 (1897–98): 1–23. C. G. Holland, “Canada greets the apostle of culture,” Dalhousie Rev. (Halifax), 63 (1983–84): 242-54; “First Canadian critics of Darwin,” Queen’s Quarterly (Kingston, Ont. ), 88 (1981): 100–6; “The sage of Ottawa: William Dawson LeSueur,” Canadian Lit. (Vancouver), no.96 (spring 1983): 167–81; and “William Dawson LeSueur,” in Dictionary of literary biography (134v. to date, Detroit, 1978– ), vol.92 (Canadian writers, 1890-1920, ed. W. H. New, 1990): 198–200. Law Soc. of Upper Canada, Gazette (Toronto), 6 (1972): 41–42. [Charles] Lazenby, Extracts from Rev. Mr. Lazenby’s address at the funeral of William Dawson LeSueur, Ottawa, September 25th, 1917 ([Ottawa, 1917)). [J. T. Lewis], A second lecture on agnosticism, by the lord bishop of Ontario (Ottawa, 1884). A. B. McKillop, Contours of Canadian thought (Toronto, 1987); A disciplined intelligence: critical inquiry and Canadian thought in the Victorian era (Montreal, 1979). John Reade, “William Dawson LeSueur,” RSC, Trans., 3rd ser., 12 (1918), proc. : iv–vi. A selection from Goldwin Smith’s correspondence, comprising letters chiefly to and from his English friends, written between the years 1846 and 1910, comp. [T.] A. Haultain (Toronto, [1913?]). Clifford G. Holland, “LeSUEUR, WILLIAM DAWSON,” in Dictionary of Canadian Biography, vol. 14, University of Toronto/Université Laval, 2003–, accessed April 24, 2019, http://www.biographi.ca/en/bio/lesueur_william_dawson_14E.html.